Not many people have Jordan at the top of their “Must Visit” list of travel destinations. 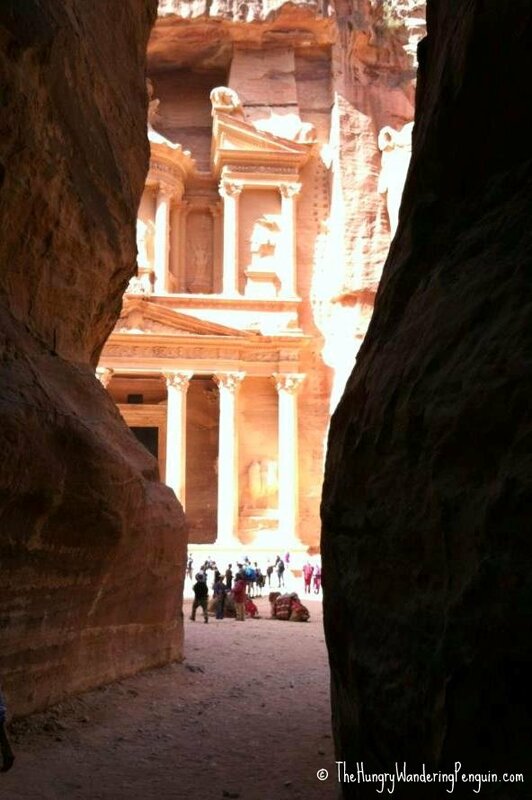 Those that do usually only have Jordan in their consideration set because of Petra–one of the New 7 Wonders of the World (also where Transformers was filmed)! While I absolutely loved my experience in Petra, I must admit that Wadi Rum actually topped Petra for me. Wadi Rum, known as The Valley of the Moon, is the largest, most beautiful valley in Jordan. The only inhabitants in the area are the several thousand villagers and Bedouins, the nomadic Arabs of the desert. Wadi Rum lacks any sort of real infrastructure aside from the Bedouin goat hair tents, leaving the area quite natural and untouched. With the beautiful landscape of sandstone mountains plus the extensive history, Wadi Rum should be a “Must Visit” on everyone’s list of travel destinations! So how exactly do you get here and what can you do in Wadi Rum?